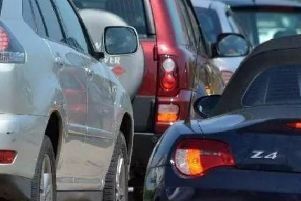 Motorists are being warned a new roadworks scheme will start tomorrow (Thursday) in Peterborough. Extra capacity is being added to junction 17 of the A1(M) and junction 1 of the A1139 Fletton Parkway to the south west of the city that will enable the expansion of the Gateway Peterborough business park. At the same time, Cambridgeshire County Council will carry out full depth resurfacing on the A1(M) junction 17 roundabout. The work has been carefully planned in a partnership between Highways England, Cambridgeshire County Council, Peterborough City Council, Gateway Peterborough’s owners Roxhill Developments and their contractors Winvic. By closely coordinating the projects and by carrying out the vast majority of the work overnight, the partnership hope to avoid any repeat of the delays caused by recent roadworks on the A1(M) in Peterborough. The work is expected to take around three months and to be complete in November. Highways England Capital Delivery Team Leader, Aran Nugent, said: “We’re very clear that there can be no repeat of the disruption that drivers suffered last time there were road works at junction 17 of the A1(M). We’ve looked closely at what happened then and we are doing everything we can to make sure that the work happening now will cause minimal disruption for drivers. At junction 17 of the A1(M) On Thursday 3 August, work to replace road markings, studs, kerbs and installing a new anti-skid road surfacing on the A1(M) will be carried out. The work will take one night, and the southbound A1(M) will be closed southbound between junctions 17 (Peterborough) and 16 (Stilton), from 9pm to 6am. From Monday 7 August there will be overnight maintenance work taking place at the junction 17 roundabout, which will include installing new road markings and studs, and resurfacing. The work will affect the southbound exit slip road for six weeks (between Monday 14 August and Friday 22 September) and then the northbound exit for five weeks (Monday 25 September to Friday 27 October). During these periods, the slip roads will be closed every week night (Monday to Friday only) between 8pm and 6am each. Only one side of the roundabout will be closed each night, with a diversion to the next suitable junction where drivers can turn around and return to junction 17. Outside these times a 40mph speed limit will be in place across the roundabout. There will also be a series of full weekend closures at junction 17 in October. The weekend closures are scheduled for Friday 20 October to Monday 23 October, from Friday 27 October to Monday 30 October, and from Friday 10 November to Monday 13 November, from 8pm on the Friday to 6am on the Monday each weekend. At junction 1 of the A1139 Fletton Parkway Work on the parkway verge near junction 1 of the A1139 will begin on Monday 7 August. From September there will be off-peak lane closures between 9.30am-3.30pm each day, avoiding the busy peak periods. The lanes will reopen outside these times, but a 40mph temporary speed limit on junction 1 will be in place for the duration of the work. Additional work will include overnight resurfacing under a night time closure of the slip road at the end of the project and work to upgrade lighting on the junction. All work at junction 1 is expected to be complete in November.